Mayweather–Margarito. Jones Jr.–Benn. Bowe–Lewis. Leonard–Pryor. These are fights that could and should have happened but never materialized. Mayweather–Pacquiao. De La Hoya–Pacquaio. Lewis–Tyson. Tyson–Holyfield. Ali–Holmes. These are fights that did take place but with one or both fighters past their peak. Which category will potential fights among Anthony Joshua, Deontay Wilder and Tyson Fury inhabit? Real boxing fans will hope that they find a place in a third group, graced by Ali, Frazier and Foreman in the 1970s and Leonard, Hearns, Duran, and Hagler a decade later; one where the best fight the best at or near their fighting primes. Further, the three most accomplished modern heavyweights have the rare opportunity to unify the belts and bring some order to what is presently a circus. Let this sink in: 70 years ago, the sport had one champion each for its nine weight classes. Today, there are 17 divisions and the four major governing bodies have, between them, over 50 belt holders. In a way, it is out of the fighters’ hands. Promoters rule. From a business standpoint, it makes sense. There are millions at stake and you’d not want your champion to take a loss against a competitor’s marquee fighter. Also, the reasoning is that the more you stall a potential great fight, the greater the demand and the monetary fruits when it finally happens. Not ideal for the sport, but it is what it is. Still, we hold on to hope of what can be. When the dust settled on Wilder vs Fury last December, the heavyweight landscape never looked rosier. 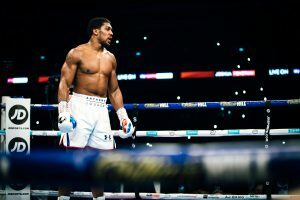 The possibilities were endless – they could rematch or one of Wilder or Fury could take on Joshua with other to fight the winner. Why were we dreaming? As things stand today, Wilder has a fight lined up with Dominic Breazeale on May 18, Joshua fights Jarrell Miller two weeks later, and a further fortnight away is Fury’s date with Tom Schwarz. This road is fraught with pitfalls though. There are few other sports where the favorite is as vulnerable as he is in boxing. And no chin is infallible. An upset or upsets is not inconceivable. What then? We’ll all be back to the carousel. Warren, Hearn and Finkel will take the platform and throw practiced rhetoric at the fans, trying to convince us that those were just blips to better days, which will never come. They will do so without fear of a backlash. Besides being the most short-changed audience in sports, the boxing fanbase is, alas, also among the most easily manipulated.